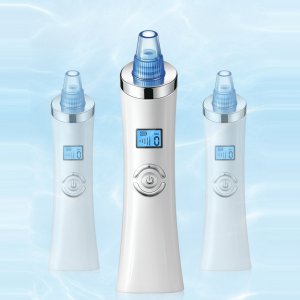 Microcurrent is an innovations in the anti-aging industry. And it is one of the hottest clinically tested therapy treatment. 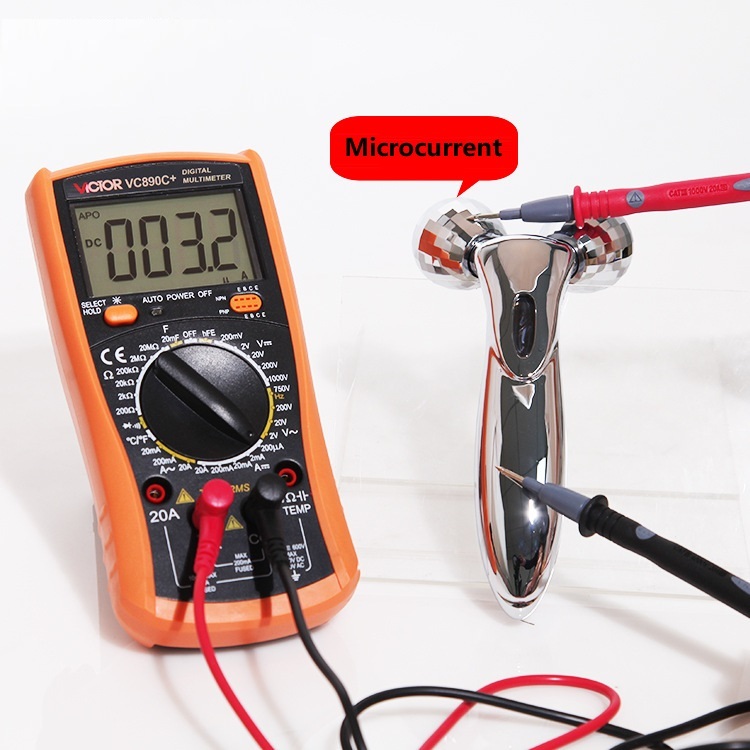 Microcurrent is used in top spas and medical offices for firming of aging skin,facial contouring and toning. 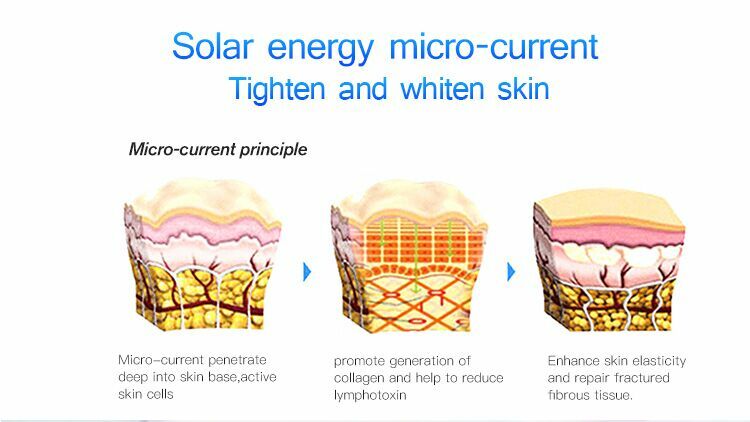 It is a low-level current that mimics the body’s natural current and can provide both instant and cumulative anti-aging results. Because microcurrent works sub-sensory, the treatment is soothing and most clients feel nothing at all. 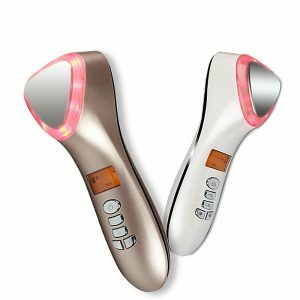 √ 70 DEGREE V-SHAPED 3D face roller: This K1 microcurrent 3D face roller with unique V-shaped rollers can massage face and other parts of your body (neck,arm, leg, buttocks, breasts…). 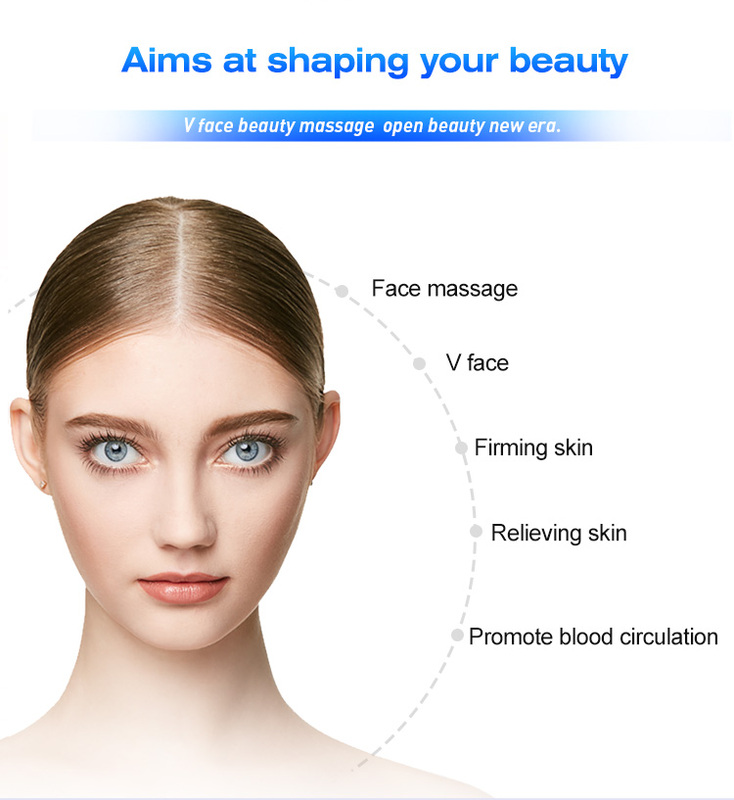 This microcurrent face massager can also achieve the effect of body slimming, face lifting, skin tightening and releave fatigue when you feel tired. 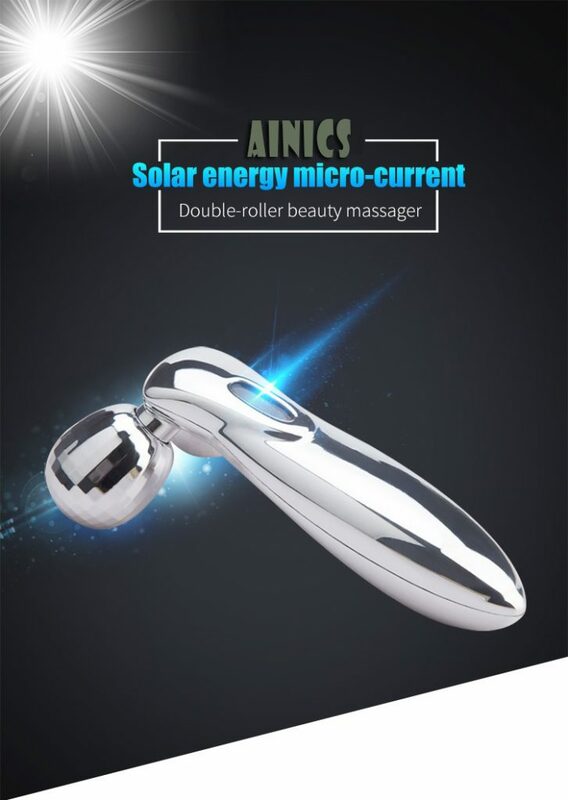 √ SOLAR ENERGY RECHARGE: No battery or charge cord is need while using this microcurrent face roller. The central part of handle can produce microcurrent after absorption light of the sun. 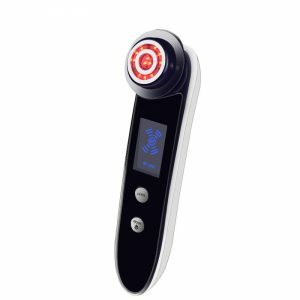 √ Microcurrent: This microcurrent face roller can promote the absorption of nutrients,activate the cells,replenish microcurrent lost due to increasing age and achieve more elastic skin. √ 3D ROLLER DESIGN: With new kneading technology, 360 degrees rotate design. While massaging, This microcurrent face massager gives you a double focus point during rolling back and forth. Tighten loose muscle, strengthens the lifting effect, improves the benefits of massage, effectively lift-up and restore skin firmness. √ IDEAL FOR GIFT: This microcurrent face roller is compact and lightweight enough to carry it anywhere. It will be a perfect gift for your Family, Friends, Skin Care Addicts, and Yourself! 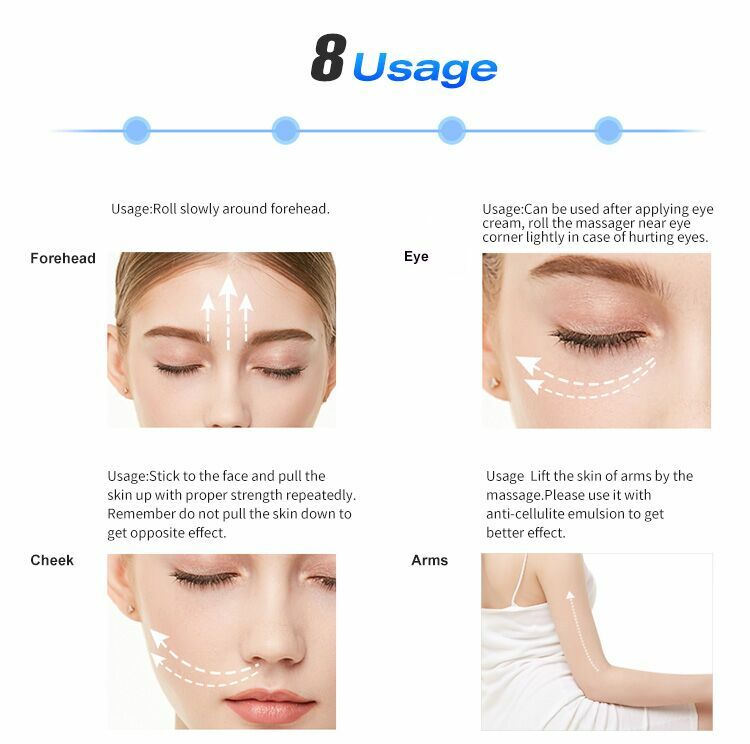 Hurry up,choose this fashion massage tool to be your fellow ! Whenever you are travelling,in the office,in home,you can use it at any time! 1,Waterproof. Clean this face roller massager with dry cloth. We suggest to clean it each time after usage. 2,Women in prenency or after giving birth cannot use this this face massager. People is the lactation,physiological period,after operation,or having metal implatation need consult doctor. 3. People who are allergic to metal cannot use this face roller.You can test it in certain part of your skin and confirm that your skin will not be allergic before you use. 4. No need charing and battery. This is solar microcurrent masager,sunshine and light can offer energy. 5. If the surface of face roller is too dirty,you can clean the roller by clean water. Then you can shake repeatedly to get the water out of the roller and wipe it by dry cloth. 1. When traveling,please put this 3D face roller in the box and avoid touch with sharps. 3. Keep this face massager clean.You can put it in the box or cabinet.Please do not keep it in humid place. 4. Please do not use this face roller after applying skin care products with scrub or sulfur. Honestly didn’t think this face roller would work that great, but I was wrong! Great for when you have aches and tense muscles. It helped soothe my stiff neck as well. This is good quality face roller, its very nicely made and it does pull skin quite well for massage. You can roll harder or gentler, depending how you want it. I got it Saturday last month and already used it several times in few days. I got two, cuz I wanted to massage both sides of face and neck equally. You can use it on upper inside arm, on thighs and basically anywhere. I will be using this face massager 2-3 times a day and hope to see some good results, such as diminishing of those traitor wrinkles . I also used to be side sleeper and have one line that shows on chest area. It was kind of difficult but I trained myself to sleep on back, trying to delay wrinkles setting in. I do like this face roller and would recommend to other ladies interested trying. My items are in good working condition and of good quality. This was money well spent . I was skeptical at first to give this face roller a try. The design seemed so simple, I didn’t know what exactly it could do for my skin. But it was a great surprise! It’s a sturdy quality made plastic massager. The rolling balls are not smooth (like I originally thought). they are diamond-cut like texture, which adds that much more to massaging aspect of it. Also, if you roll the massager in certain direction, the rolling balls “trap” the skin in between & you can really feel your skin being massaged deep & it feels great (it feels like it would especially help with the cellulite.. I used it on my legs. ).